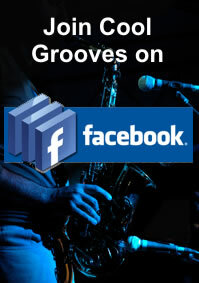 Boney James – Dishing Up Some Phat Smooth Jazz! Boney James is one of smooth jazz’s most successful saxophonists, and deservedly so. He is a prolific writer and is on fire whether in the studio or on stage. Just look at the facts, to date nine of his studio works have reached #1 on the Billboard Contemporary Jazz Charts and two reached the top 10 of the R&B Albums Charts, a rare feat and huge feather in the cap of any Instrumentalist. His new CD, “Contact” has already taken the charts by storm. The first single titled, “Spin” has been on the charts for an impressive 11 weeks and currently holds the number two position. There is also a great story behind his stage name. His real name is James Oppenheim, but when on the road with Randy Crawford in 1986, his per diem as a touring musician barely kept him fed, and a bandmate (Wayne Linsey) commented of his dwindling physique, “We’ll have to start calling you Boney James!” The name stuck. Boney James has combined jazz, R&B and hip-hop and by doing so helped popularize an updated version of contemporary jazz called Urban Jazz. Among his long list of accomplishments are his three Grammy Award Nominations (Best Pop Instrumental Album, 2001 & 2004, and best Traditional R&B Performance, 2009), and Soul Train Award for Best Jazz Album. He has also been honored with an NAACP Image Award nomination for Best Jazz Album and has accumulated four RIAA Certified Gold Records. Most impressive though, he has sales totaling 3 million records. From one of Boney’s earlier works, here is a tune called “Bleeker Street.” In this performance you can see that he has earned all the accolades that he has received. 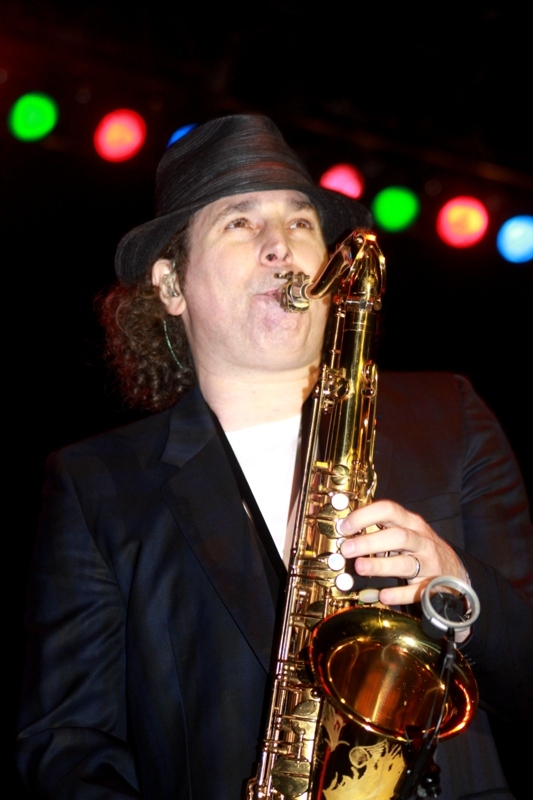 Boney James was born in Massachusetts, spent his early teens in New Rochelle, NY before his family head out to Los Angeles. He was influenced by Motown , R&B and, as so many others, by Grover Washington, Jr. His R&B influence was further strengthened by seven years of touring and sessions as a sideman with Morris Day, the Isley Brothers, Bobby Caldwell, Randy Crawford, Teena Marie and many others. In the early 90′s, after joining Bobby Caldwell’s band, he caught the attention of the engineer/mixer & producer Paul Brown. In 1992 he released his debut album, Trust, and the rest is history. Tragically, in May of 2010, James was involved in a car crash coming home from a performance when he was rear ended by a drunk driver. James suffered a fractured jaw, two shattered teeth and facial lacerations. Thankfully he was only sidelined for 2 months. Finally, while many of our regular readers know we love the live experience, we could not find a live version of Boney’s new single “Spin” so we hope you forgive us for posting the studio version. 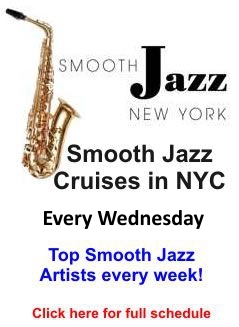 This entry was posted in Artists and tagged Boney James, contemporary jazz, funk, Grover Washington Jr., R&B, smooth jazz. Bookmark the permalink.